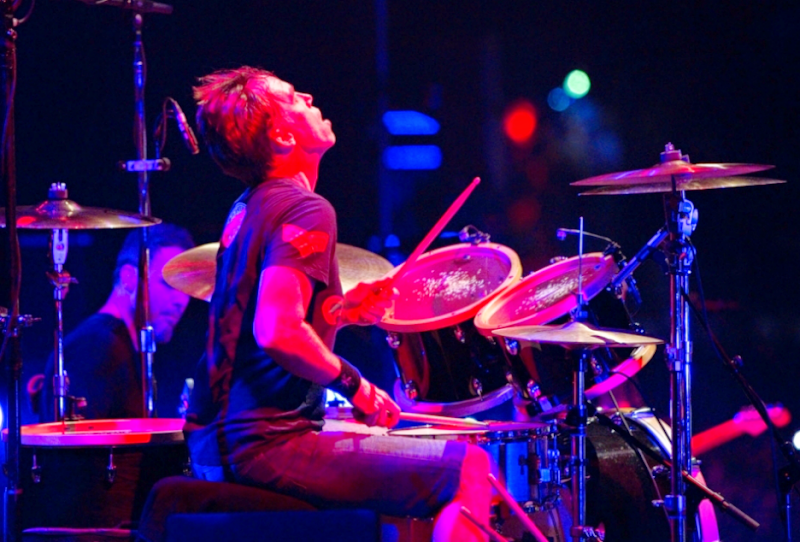 THE SKY I SCRAPE: Matt Cameron Is All In For 2014! As Soundgarden has been announcing concerts dates over the past couple of weeks we've been trying to do the math and figure out when Pearl Jam was free to hit Europe. Turns out, our math doesn't matter. Matt just announced to Soundgarden fans that he is taking the year off from Soundgarden to focus on Pearl Jam in 2014. Good for our band. Bad for us figuring out further Pearl Jam dates. I will be taking 2014 off from Soundgarden touring due to prior commitments promoting “Lightning Bolt” with my brothers in Pearl Jam and the desire to have more time at home with my family. I am trying to balance the many twists and turns of my awesome music career. This is temporary. I am still an active member of Soundgarden. Chris, Ben, Kim and I are in the process of finding the perfect substitute for the upcoming Soundgarden dates in 2014. Thank you all for listening and the Years of Support!